Perhaps you (or someone you know) have heard of the good news of Jesus and wish to know whether it applies to you—it does. If you are attracted to Jesus, but not to the baggage often attached to his message, you can begin to follow him now. It is not difficult. If you are attracted to Jesus and want to appropriate his good news to your life, how do you do that? What steps must you take? What commitments must you make? Many believers think that to follow Jesus and have eternal life a person must perform a ritual in which one makes a decision to accept Jesus as their personal savior. Otherwise they will go to hell. Some believers require a formulaic ‘sinners prayer’; they think if a person has not performed this ritual their relationship with Jesus is questionable. There is nothing wrong with ‘accepting Jesus as personal savior’, but there are difficulties with the typical baggage attached to this approach. 1. To begin with, there is no ‘hell’ or punishment awaiting anyone—and the Bible does not teach that there is. 2. Secondly, one’s relationship to Jesus does not depend on a specific moment of decision. There are many who cannot pinpoint such a decision in their lives, and yet they are believers as much as anyone. It is disrespectful of the Father’s love to question a person’s relationship this way. 3. Another misconception is that one must meet behavioral requirements to be acceptable. The New Testament shows Jesus to be tremendously inclusive; he understands our messed up lives and is eager to remove our burdens. There are NO barriers to overcome or rituals to perform. What is the Good News Anyway? There are several aspects of the good news of Jesus. He relieves our fear and alienation. Many think God is angry, strict in his expectations, and ready to punish us at our slightest mistake. Jesus shares with us that this is not so; instead the Father loves us freely and accepts us as we are. There is no reason to fear him or feel alienated from him; any alienation we may feel is on our side–not on the Father’s side. He relieves our burden of guilt feelings. Because we are imperfect, we feel guilty for our failures, but Jesus knows our limitations. He is concerned about our shortcomings but is not disappointed in us. We need not improve ourselves to come to him; rather, when we come to him we begin to improve. This is a very rewarding experience. He provides eternal life. The most remarkable thing we learn from Jesus is that he provides eternal life for us—we can live forever in happiness. This does not apply only to a select number; this applies to all of us! Does this sound like good news to you? It is! What Must We do to Receive this Good News? Perhaps you wonder what conditions you must meet to make this good news yours. The answer is that there are no such conditions. Read Jesus’ invitation above once more; just come to him and learn of him. As you learn of him, you will begin to change for the better. Jesus has only one rule: to love others as you love yourself. This is the only standard of behavior. You may feel that you cannot love some people, or perhaps even yourself; but as you begin to comprehend the Father’s unconditional love for you, you will love yourself more. This will cause you to notice, and begin avoiding, behaviors that are bad for you because you are now concerned for your own well-being. As you learn from Jesus, you will choose better behaviors for yourself, but only you can determine what those are. No one has the authority to give you rules to follow. As you realize the Father’s love for you and begin to love yourself more, you will also grow in the capacity to love others as you now love yourself. You will not become perfect in this, but you will enjoy a life of greater harmony with the Father, yourself, and others. If this is all new to you and you want more information about Jesus and his good news, you may contact me personally if you wish by emailing me at tchastain@cfl.rr.com. Now that you have heard the good news of Jesus, you will want to identify with him in a concrete way. When we begin to follow Jesus, it is good to follow up with baptism; baptism is a public statement that we have identified with Jesus and is almost universal among followers of Jesus. There are several reasons why baptism is such a universal practice. 1. Jesus was baptized by John the Baptist to prepare for the Kingdom of God. We identify with Jesus and follow his example in baptism. The Kingdom of God is just an older special term for those who are aligned with Jesus and the Father. Don’t you know that all of us who were baptized into Christ Jesus were baptized into his death? We were therefore buried with him through baptism into death in order that, just as Christ was raised from the dead through the glory of the Father, we too may live a new life. 4. Baptism is a public statement of identity with Jesus. Once we learn about the good news of Jesus and embrace it in our lives, the next logical step is to identify with Jesus in a definite, public way. Baptism is not a condition for acceptance by God, but it is the way to signal our commitment to following Jesus. 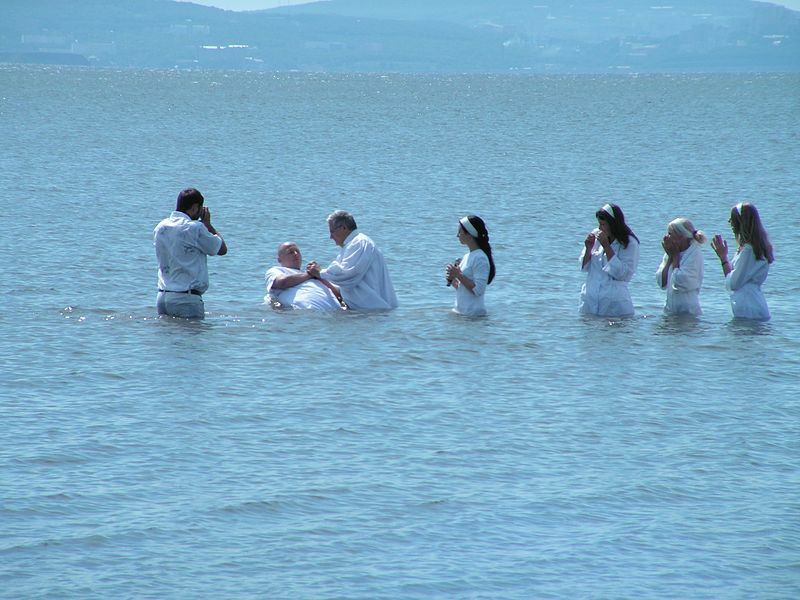 The practices of baptism vary from group to group. Some baptize infants who are born to followers of Jesus. If this is the case, they will also baptize older children and adults who become followers of Jesus later in life. Other groups baptize only older children and adults. The method of baptism also varies. Many groups sprinkle or pour water on the heads of the new follower. Others dip the new follower briefly under the water’s surface; this is usually done in a baptistery (water tank) in the church, but some use natural bodies of water or even a swimming pool. Sprinkling, pouring, and dipping are all valid methods of baptism. Most churches have guidelines about who can baptize others, but this is not always the case. Some groups require membership in their church for baptism, while others will baptize anyone who becomes a follower of Jesus. Check with any church or Christian minister to learn more. Baptism is a positive and rewarding step for those who begin to follow Jesus. Part 3: How Should I Behave as a Jesus Follower? Perhaps you have questions about behavior for Jesus followers–many people do. Does behavior matter? Yes! It does! But not in the way you might think; There are no rules to follow. Jesus came to relieve us of burdens of—not to increase them. To be a follower of Jesus, one need not agree to any list of doctrines or even a list of rules. But this does not mean we are unrestrained in how we act. Behavior DOES matter. But if behavior matters and there are no rules, then how do we know how to behave? What is the standard? In the culture that Jesus lived, there were many religious rules. At the very top were the Ten Commandments. In Matthew chapter 22 we read the story of a person who asked Jesus about the commandments. Jesus did not make up these two principles; he was referring to familiar passages from the Old Testament, but he seems to elevate these principles to a level that supersedes all specific rules of behavior. The problem with living by a list of rules is that, while rules are easy to apply, keeping a list does not go to the heart of behavior. One can say, ‘I didn’t kill anyone’, even if they destroy someone’s reputation. One can say, ‘I didn’t lie’, even if their misleading comments have damaging results. Another problem with lists of rules is that they are limited. If you have a list of 50 rules, you can congratulate yourself each day that you have observed all your rules, but what if gossip is not on the list? Perhaps you can add it and have 51 items, but your list will never be long enough to cover all eventualities. Lists are also stark and inflexible; they do not account for circumstances. There was a time when my list included: ‘Do not lie’. It was not a bad rule, but I was so tied to the list that were I in Hitler’s Germany and soldiers came into the house asking ‘Are there any Jews hiding here?’, I would have responded ‘They are behind that false wall’, because I could not bring myself to lie. Lists of rigid behavioral rules are always inadequate. The two principles put forth by Jesus, to love God with all your heart and to love your neighbor as yourself, go beyond rules and toward motivation. If these principles are your motivation, then you can decide a course of action at any time and circumstance based upon them. They are easy to remember and they apply to everything. Let us examine the principles more closely. What does it mean to love God with all your heart? I understand it to mean choosing to be for God. It means identifying with God and being in harmony with him. This is difficult when one is afraid of God and cannot trust him. Many of us cannot love God fully because we feel alienated; we think of God as angry and harsh—and quick to punish. This is where Jesus helps tremendously by showing that God is like a Father. The Father loves us, and we see that love in Jesus. Our love for the Father is responsive; we love the Father with all our heart as we come to understand that the Father loves us with all his heart. 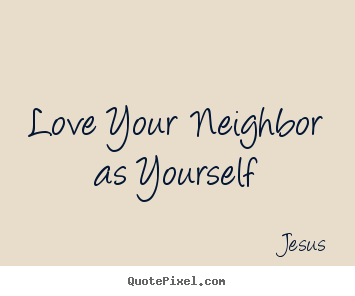 The second principle is to love our neighbor as ourselves, and we discover that this means everyone—including our enemies. This does not mean that we allow ourselves to be vulnerable to every person who is out to harm us or exploit us, but we should love even those people as the Father does. Jesus says as much in the sermon on the mountain found in Matthew chapter 5. This statement combines both principles we are discussing. We love our enemies, and we do so because we choose to act in harmony with the Father’s opinion about them. I once worked in a Christian organization where my supervisor was extremely and systematically hurtful to me. This was obvious to others and some told me, ‘God will make her pay some day!’ But I said, ‘No. God will forgive her.’ So I forgave her. There is no place for vengeance for those who see people as the Father sees them. The Father is not about vengeance; the Father is about love and healing. I could no longer endure persecution from my supervisor, so I left the organization, but I did not wish her harm or misfortune. In fact, I wished her success, healing, and improvement in relating to others. The Father is not interested in punishment. The Father loves us and wants to heal us of our pains and sufferings. He will not punish us—no matter WHAT we do! But this does not mean there are no consequences to our careless or malicious behavior. There ARE consequences to our behavior. If we murder someone, there are many negative consequences: a person loses their life, their loved ones suffer, the community lives in fear, and the murderer is apprehended by the society and dealt with. These are all horrible consequences, but they are not punishment from the Father; they are natural consequences of bad behavior. Murder does not reflect our loving the Father and identifying with his perspective of other people. Neither does it reflect a motivation of loving others as we love ourselves—or does it? We have already talked about loving God with all our heart. This gives us the ability to love others. Hurting someone does not seem to reflect a motivation of loving others as we love ourselves—but perhaps it does! Here we may discover a third principle of behavior implied by the other two. If we are to love others as ourselves, it is assumed that we love ourselves. I don’t mean that we simply protect our own selfish interests but that we genuinely love ourselves and care about our welfare. Often we do not. I contend that if we do not love ourselves we cannot truly love others, and many of us do not love ourselves very well. If this is the case, how can we change it? How can we begin to truly love ourselves? Perhaps the best way to begin to love ourselves is in response to love. If we see that others love us, we begin to have the capacity to love ourselves. An even stronger catalyst is to understand that the Father loves us. This is the heart of Jesus’ message to us. This is the good news! The Father loves us and wishes to heal the alienation we feel toward him/her. We become confident that the Father loves us and desires the best for us. When we begin to comprehend the love the Father has for us, we begin to love ourselves better. Then we are able to love our neighbor as we love ourselves and desire the best for them because we love ourselves and desire the best for ourselves, just as the Father loves us and desires the best for us. This affects our behavior. We do not avoid irresponsible sexual relationships because of rules but because of the consequences to ourselves and other people. We do not exploit others because of the consequences to us and to others. What about personal behavior such as smoking, drinking, and other personal pursuits? The answer is the same, and you must evaluate that. I cannot catalog for you a list of behaviors for you to observe. And neither can anyone else! If you grasp the Father’s love for you and his desire for your well-being, and you respond to that love by beginning to love yourself and desire your own well-being, and you begin to love others as yourself, then you (and only you) are in the position to determine the propriety of your own behavior. What is Hell All About? We are not perfect. We often get things wrong, and when we do there are consequences. Sometimes the consequences entail punishment from society, but the consequences do not include punishment from the Father. The Father loves you no matter how much you fail in your behavior. He does not become angry with you and he will not punish you. If this is true, then what is hell all about? This is a very important question! The concept of hell is one of the most destructive elements of superstitious baggage often associated with the message of Jesus. It is so serious that I devote a significant resource page to exploring it. Don’t be concerned about punishment but begin to love yourself as the Father loves you, so that you can love others as yourself! So Why Bother? If God Does not punish us, then why worry about our behavior? If the Father is not angry with us, and we are not facing punishment, one might conclude that we need not be concerned about our thoughts and behavior. Then why make any effort to improve? When we act with love toward ourselves and others we reduce suffering in the world and we don’t have to carry a load of guilt for our actions. We also build self-respect when we behave well. None of us can become perfect, but committing ourselves to loving the Father, ourselves, and others is quite worthwhile. What Does It Mean to Grow as Followers of Jesus? When we begin to follow Jesus, he accepts us just as we are without preconditions. But then something happens; we begin to change! The more we learn about Jesus and of the Father’s love, the more we will change for the better. And we are not on our own because Jesus helps us change. I am the vine; you are the branches. If you remain in me and I in you, you will bear much fruit; apart from me you can do nothing. If you do not remain in me, you are like a branch that is thrown away and withers; such branches are picked up, thrown into the fire and burned. Remaining in Jesus means cooperating with the changes in our thoughts and actions that come with following him, which is what it means to be a disciple—we follow him. 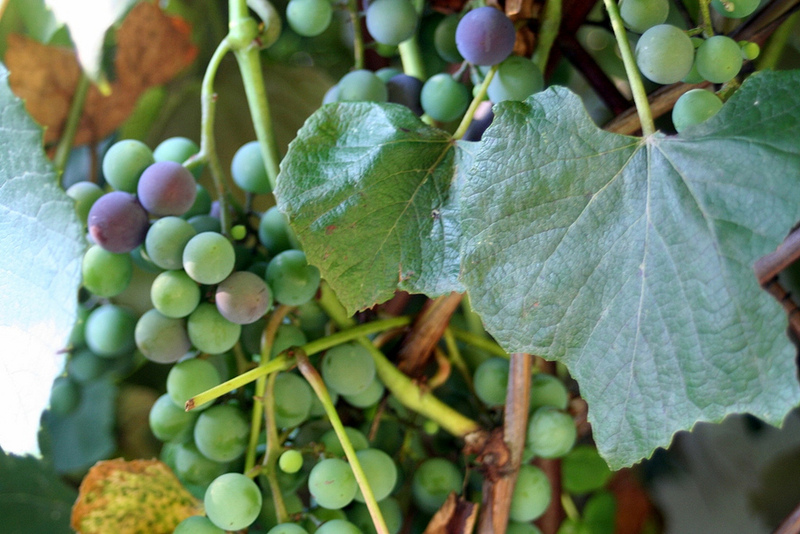 Otherwise, we are like dry branches that take no nourishment from the vine; we wither away. This metaphor is not a threat but simply describes what happens to branches that don’t participate in the life of the vine. If we do not cooperate with the changes, we can maintain our old condition for as long as we want and will not be punished. But we miss out on the benefits of following Jesus. In our stunted state we continue to feel alienated because of the guilt we feel from our behavior, and we will not have the peace, joy, and happiness that should accompany life in Jesus. Instead we will be dry, withered, and fruitless. How Do We Cooperate in Our Own Growth? However, be careful of those who would lead you into legalism. Many believers try to grow by compiling lists of things to do and not do. This is legalism, but growth does not come through observing rules. Legalism takes the focus off the objective, which is to grow in the love of God, ourselves, and others; and it leads, not to love, but to self-righteousness, judgmentalism, and increased guilt. Focus on loving—not on rules and rituals. Also do not let others, even long-time believers, dictate what actions are appropriate for you; this is between you and the Father. The Father works with each of us individually and does not need a spokesman or enforcer. No follower has a right to judge another. We travel together, but we are all on our own journey. By cooperating with the love of the Father, we experience personal (spiritual) growth. Growth is sometimes difficult but it is extremely rewarding. What is the Good News of Jesus? Though growing as a follower of Jesus includes a commitment to the kingdom of God, it should never be a drudgery or a burden. You might be interested in a series of articles on the benefits of following Jesus. They begin with What is the Good News of Jesus Anyway? Reposted on Jesus House Western Maryland (facebook). Debi, thanks for the RP! I read this article and the one on hell. My question: If someone does not choose to follow Jesus. What becomes of him? Does God forgive him and he goes to Heaven the same as those who do follow? If they do not go to heaven isnt that punishment? To be seperated from Gods love, grace,and Mercy? Kristeen, these are good questions. I think most people will live forever in God’s community. But there are some who might not wish to live with God, so I don’t think God will force them to do so; free will is important. I suspect that those who are offered eternal life with God but refuse it will be granted their wish and will cease to exist–at their own choice. I hope they are helpful, but be sure to follow up. Tim, I notice that the earlier comments on this topic have not been included. Is that deliberate? Hi Chas. No comments have been removed. However this is the actual article; there is also the announcement of the revision of this article that is separate because I cannot post the same article twice. A few people commented there. Sorry Tim, I thought we had had discussion some months (years?) ago, under this topic ‘How to follow Jesus’. My memory must be faulty. Tim, my memory error was in the title. It seems that I was referring to ‘What is the good news of Jesus anyway’, and the comments are there. Chas, I am glad you found the comments. But I would not dwell on having a faulty memory; after so many discussions on so many posts how can anyone remember all the detail? not the accusing tongue of another man. “To follow Jesus, we need to listen to HIS voice, not the accusing tongue of another man.” Excellent statement, Matthew! And I really like the poetry; thanks for sharing it. Great- I’m glad you liked it. I just wrote it recently. If we are listening to the voice of Jesus, we should hear HIM about what is “most important”. No, it’s not “Love” without God. That was the voice of the Beatles, Paul and other men. Matthew, in this second poem it seems more clear than before that you have a poor regard for Paul. It seems to me that Paul understands Jesus’ message on love quite well. What are your objections to Paul? Paul refers to himself almost 20 times, and never mentions God even once. This chapter is prefaced with Paul writing “And now I will show you the most excellent way.” [1 Corinthians 12:30]. And Paul concludes with “Follow the way of love….” [1 Corinthians 14:1]. Those are simply observations of fact about the text, what Paul said and what Paul didn’t say in the text – anyone can open a Bible and see this, it’s not my opinion. But it is not the message of Jesus, who quoted two commandments, but elevated Deuteronomy 6:4-5 ABOVE Leviticus 19:18. Matthew, let me respond to your comments on Paul’s emphasis regarding love in 1 Corinthians. You begin at the end of chapter 12, which is good, but I suggest you read earlier in chapter 12 to see the context of Paul’s discourse on love: it has to do with human relationships within the local church. There was a lot of bickering, one-upmanship, and disrespect in the congregation. This is a human relationship problem, and Paul’s solution is that the members of the congregation love each other. He is not placing ‘loving others’ over the principle of ‘loving God’; he is addressing the issue of an inadequate state of love and harmony within the local group. His omission of the commandment to love God is not because he does not respect that commandment but because it is not applicable to this situation. Paul was not elaborating on the two greatest commandments but on a big problem in the local church. In this case you seem to pose an argument from silence which is among the weakest of arguments. You mention several phrases that are popular today. I agree with you that the intent of the Beatles’ ‘All we need is love’ is an inadequate spiritual statement, but your inclusion of ‘Love Wins’ makes me wonder if you are familiar with the context of that statement. It is from author Rob Bell and what it means is that God is very intent in bringing all people in harmony with him–BUT! If after all God’s efforts a person still does not want to align with God, then in God’s love of that person he lets them go. He will not force them against their will. In the contest between bringing a person to embrace God and God’s respect for their free will, God let’s them go. In love. Therefore ‘Love Wins’. It doesn’t seem to apply to your argument. You also mention that Paul does not mention ‘God’ one time in his discourse. However if we read earlier in chapter 12 (that you use) and later in chapter 14 (that you use) we discover that Paul referenced God 14 times. I do not think the totality of the context demonstrates that Paul elevates loving others over loving God. For inspiration, here is more food for thought…. Matthew, I read the parable after my comment on the second poem. It seems even more clear that you think of rather poorly of Paul. As I said earlier, I think Paul was a very insightful interpreter of Jesus. He made a tremendous contribution to the Way; otherwise, where would we gentiles be? “Where would we Gentiles be”? The Gentiles were doing just fine in Acts chapter 8 without Paul – actually is spite of Saul the Pharisee, before Paul’s “road to Damascus experience.” And when God called Peter to go to the Gentiles in Acts 10, they were doing great too. Do you believe that Paul was “The Apostle to the Gentiles”? Who gave Paul that title? Who appointed Paul an Apostle? Who recognized, accepted, and affirmed Paul individually as “an apostle”? No, Luke’s editorial comments in Acts 14 don’t answer those questions, and neither do the Apostle Peter’s passing comments about “beloved brother” Paul in 2 Peter 3. Jesus said nothing recorded in Acts 9 about Paul being an apostle either. There are only 12 Apostles, and Matthias is the 12th, according to Jesus and the Apostles Jesus appointed. Matthew, it seems apparent that we have very different views on Paul and his place in the developing church. Thanks for sharing your thoughts on the matter; it is always good to hear opposing ideas expressed. Yes we have different views about Paul and his role in the “New Testament Church” – and can you give a Biblical basis for your views, other than “Paul said so”? Matthew, thanks for elaborating on your thoughts regarding the Apostles, Judas, Matthias, and Paul. Again, I see things quite differently but have no need to debate the issue. I don’t see how such an argument would be useful to anyone. Matthew, I agree with you that Paul was not one of the 12 apostles. I don’t know anyone who says he was. You ask, “What is an Apostle?” One of the first things I leaned in biblical Greek class was the definition of ‘apostle’. An apostle is someone sent with a message; and that is exactly what the 12 apostles were. You ask, “Who appointed Paul an Apostle? Who recognized, accepted, and affirmed Paul individually as ‘an apostle’?” Well, it was the church at Antioch. They sent out Barnabas and Paul as apostles ‘sent with a message’ to people living in Crete and Galatia. Paul continued in that effort for the rest of his life. No, he was not one of the twelve, but he was sent with a message by the church at Antioch. You are not quoting chapter and verse from the Bible – because there is nothing for you to quote. No, your Biblical Greek class is NOT the word of God, but I’ve included some Greek below for you to look at. no, the Church at Antioch did NOT appoint or recognize Paul as an apostle. No, Luke’s editorial comments about “the apostles Barnabas and Paul” in Acts 14 don’t answer these questions – compare and contrast with Acts 1, 6, 9, 13 and 15. In the Council at Jerusalem, there is no hint at all that either Barnabas or Paul were ever recognized as “apostles.” [Acts 15]. You can open your Bible and see for yourself. I’m not wrong. These are facts about the text. Neither do Peter’s passing comments about “beloved brother Paul” one time in 2 Peter 3:15 answer these questions. On the contrary, Peter’s reference to apostles in 3:2, and then use of the Greek word agapetoi throughout chapter 3, cut Paul down to size, and show that Paul has no special status or title as an apostle. Paul was simply “beloved,” just like everyone else Peter was writing to. God loves everyone. Nor did Jesus ever say Paul was an “apostle”, in Acts 9 or anywhere else. Every true follower of Jesus is a “chosen instrument of God”, and so were King Saul and King Solomon. You have dodged these questions with vague irrelevant answers. Who appointed Paul an apostle, when, and where? Who accepted, affirmed, or recognized Paul individually as “an apostle”? Who gave Paul the title or role “Apostle to the Gentiles”? If you have ears to start listening to Jesus rather than the voice of Paul the accuser, then you can listen…..
Matthew, I have been trying to determine your motivations because one can misread a lot from written words and make wrong assumptions. But I am now convinced that you are not a person who wishes to discuss ideas in a forum but one with an aggressive argumentative agenda. I entertain a wide range of views on this blog, but I do not allow this type of negative arguing (see my comment policy). You helped confirm my suspicions in saying, “I’m not wrong. These are facts about the text.” Apparently, you know the truth and anyone who disagrees with you does not simply disagree–they are wrong. This is utter arrogance; there is no place for this attitude on this blog, but there are plenty of other sites where you can get down and fight about you understanding of the Bible; they would be more appropriate for you. I am not interested in an apologetics debate. I am not interested in convincing you of my position. I am not interested in winning an argument. It is pointless. But be aware that I am not intimidated by your insults on my grasp of Greek and of the Bible. You don’t even know me. But I do wish you well, and I hope you find a good venue in which you can deliver your inerrant theories about Paul. OK, then why not focus on the “Most Important” question? In Matthew 22 and Mark 12, “Jesus Without Baggage” spoke for Himself. He identified two commandments, saying one of these two is the first and greatest most important one. Which one is it? The one in Deuteronomy 6:4-5, or the one in Leviticus 19:18 ? Matthew, I don’t see the point. It doesn’t seem that you are really interested in an open exchange of ideas; I think your mind is closed to alternatives to you large-scale scenario. And I am not interested in arguing. Do you agree with Jesus? Or do you agree with Paul [Galatians 5:14 and Romans 13:8-10] ? The quotes given here are the words of Jesus without baggage- His voice, the Red Letters. Matthew, I have mentioned already that I believe Paul to be a devoted follower of Jesus and that he understood Jesus well and was very instrumental in applying the teachings of Jesus to the newly-formed house churches. It is difficult to respond to vague accusations against Paul in a poem. Here are specific quotes, Jesus vs. Paul, about what is most important. Do you choose Jesus? Or Paul? They disagree. Matthew, I have responded more substantially to your various comments above. I follow Jesus, and I respect Paul. I do not think there must be a choice between them because I don’t think they disagree. 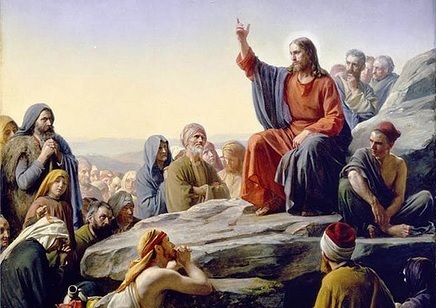 Which of the two commandments Jesus quoted is the Most Important One? What about evil in the world? The problem of evil? I know god is loving but why pain and suffering by other people, diseases, and natural disasters? Why do animals suffer pain as much as us? They must have a soul like you and me, because god loves every creature great or small. I do believe in Jesus and not the bible, I’m understanding what you’re saying except for the god being all-loving. If we possess “free will” then why don’t animals? We do things to survive and are conditioned in our behaviors and culture, animals do the same thing. Do they not have as much free will as you and I? What I believe is there is a supreme being from all of us, animals, and everything thing. I feel what possess as a soul is something that can produce a thought, not the fact that you have “free-will”. If a loving god gave us pain and suffering with a “free-will” we would have almost no disease, or natural disasters. God is more than just a loving entity, or whatever it is. The existence of it. Rebecca, your question is (of course) THE MOST DIFFICULT QUESTION anyone can ask. And I don’t have an adequate answer. I do think these things: 1) much suffering is due to the laws of physics, and I don’t think God is in the business of violating the way the Universe works, 2) as you point out, we inflict much suffering on each other which involves free will, and 3) I think all suffering is temporary, no matter how intense it is, so that reflecting on our suffering in the past puts a better perspective in it. We can speak further if you wish, and if you ever find the answer please let me know! I wonder how many people your blog has led to die without Jesus. I would wonder if you have ever read the Bible to think that you would create a blog like this that is not about Yeshua at all. Carama, my guess is that I have not led anyone to die without Jesus. And while I understand that we disagree on some things, I assure you that I began reading the Bible at 7 years old and have not slowed down. I am now 65. My blog is ALL about Jesus; it is just that it does not support certain beliefs and practices that some believers think are essential but are really harmful baggage that get in the way of following Jesus in the good news of the kingdom of God. What are your specific objections? Are you saying that the teachings of Jesus are somehow “incomplete”, or can’t be understood, without “harmonizing” them with Paul’s teachings? That if Jesus said something, we can’t accept it at face value, and let Jesus speak for Himself, “without baggage”? But rather we have to check first with Paul – and if Paul and Jesus don’t agree, then we should change the meaning of Jesus’ words to make them fit “what Paul really meant” – in your opinion? Both times Jesus answered quoting the same two commandments, from the Law of Moses. Jesus said that one of these two commandments is the first and greatest most important one. Which one is it? The one in Deuteronomy 6:4-5, or the one in Leviticus 19:18 ? Paul had a different opinion – You can see the evidence for yourself – check out Galatians 5:14, and Romans 13:8-10, and compare with Jesus. Tim, you have far more patience than I do! Got a question: In my teens I prayed and asked Jesus into my heart. I immediately had an amazing experience of being filled, surrounded, loved and cared for. This experience later led me to be baptized. Unfortunately in my early 20’s my disgust for “churchy christians” lead me to start exploring anything I could find on atheism, philosophies, world religions, until I finally didn’t know which way was up anymore. Now that I’ve returned to my True Love, who amazingly was there waiting for me, do I need to be baptized again? My heart says no, but I’d like to hear your response. Most “churchy Christians” are not really following Jesus. They have the baggage of all the false teachings of the false apostle Paul the Pharisee (who literally didn’t know the first thing about following Jesus.) The first thing is Deuteronomy 6:4-5. The second thing is Leviticus 19:18. But Paul ignored the first thing, and said the second thing is “THE” rule. Paul was wrong, clearly, in Galatians 5:14 and Romans 13:8-10, since he contradicted Jesus in Matthew 22 and Mark 12. No one in the pages of the Bible ever said that all scripture is EQUAL. Jesus clearly taught that all the “Scripture” that existed 2000 years ago, the “Old Testament,” is NOT equal. 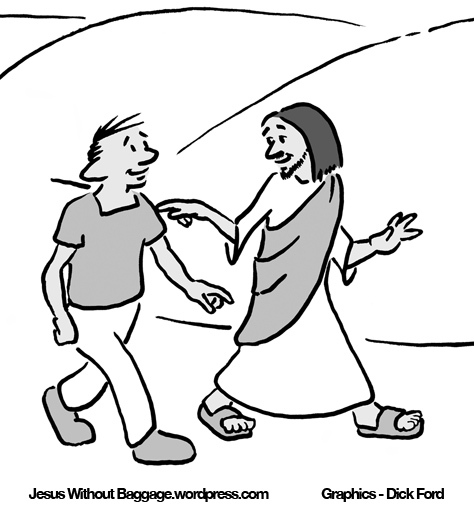 So why not follow Jesus without Baggage, instead of Paul the false apostle? Dennis, when I was a child I got ‘saved’ in a fundamentalist church and was baptized in a lake. Afterwards, I got ‘saved’ several more times and was baptized a second time; but in looking back I would not have been baptized that second time. I think my first baptism was legit and did not need to be repeated. However, I cannot speak for you or anyone else. Your heart says ‘No’, and I agree, but if later your heart says ‘Yes’ then I don’t think it will do any harm. Thank you! Since I felt a very solid connection with my first baptism, and my heart still says that’s OK, I will leave it at that, but will leave the door open for future promptings. I have no idea why you are replying to me. I was asking a question to Tim about baptism, and it had nothing to do with your conversations with Tim. You are in danger of becoming an internet troll. I was trying help you, since you blasted “churchy Christians”, so you could understand the root cause of their behavior – they are NOT following Jesus, they are following Paul. If you want to follow Jesus, you should not be offended if I quote Jesus speaking for Himself about what is most important. May God bless you. Matthew, thanks for trying to be helpful but you don’t know Dennis background as he has shared it with me over the last few days. Dennis, I am sorry. The response you received from Matthew was unhelpful and off-topic. But I do want to let you know that we have become a community here and often people do respond who were not included in the question. Now normally those responses are helpful and affirming instead of what you received today. I tell you this because if you continue to interact with us, and I hope you WILL, I would not want you to be surprised. Matthew Perri is not among the frequent contributors to the blog comments. And Matthew, if you read this, I apologize if I came on too heavy. I didn’t understand at first that you did think you were replying on topic. Oh, and also. Tim, now that I’ve found this website to be such a great resource I will most likely slow my responses down. I am planning to delve deeper into the many topics here, beginning with “conditional Immortality”, as this i”eternal damnation thing is usually one of the first things to come up whenever you mention Jesus and the Bible. I will definitely continue responding, but hopefully with better questions and comments. Keep up the good work! You ARE definitely leading many people back into the fold of the Good Shepherd!!! I have no Bible at present, and love the KJV for it’s poetic tone, but it isn’t always the most accurate. Any suggestions as to which version is better? Dennis, Thanks for the kind words. Read all you want and always feel free to comment or ask questions! Dennis, I agree that the KJV is beautiful but is archaic and not based on the best manuscripts. When I gave up the KJV I chose the NIV; I have found it very useful and satisfactory. I know some people like even more recent translations but I can’t give much detail at the moment. If you like, I can do some quick checking and get back to you. Hi Dennis, when you asked about Bible translations I mentioned that I use the NIV and have always been happy with it. I have also heard people I know mention the NASB as another good choice from time to time, so I did some piking around and I think it might be a good choice; I understand that it does not flow quite as freely as the NIV. There is an arrow just under the word ‘John’ at the top that lets you see the passage in whatever translation you want to see. You can also check other biblical passages in the search box at the top. Its pretty easy but let me know if you need help. Thank you, Tim, I would appreciate that. Just left a comment on your page “Revelation And The lake Of Fire” in response to Strange Girl’s story with a couple of questions on people who push Biblical legalism, and what happens to them, and on the idea of how to approach the stories of jesus and would welcome your comments. I really don’t know how you keep track of all of the new comments on every page. Surely you don’t have to go through all of them all the time? Dennis, as owner of the blog I receive automatic notifications whenever a comment is made on ANY article on the blog; so ‘no’ I don’t have to look them up. You may have done this already, but I think there is a spot at the end of each article page where you can subscribe notifications to comments on that page. As owner, I can’t see it but if you have difficulty let me know and I will find out what’s what. My guess is you already know this. I will check out both Bibles.And I believe the button you talked about comes up when you as a reader post a comment. Will watch for it this time. Actually, yes, I see it right now. “As followers of Jesus, we are His representatives—specifically, his ambassadors—to the world around us. This speaks to the reality of Christ’s Kingdom being separate from the kingdoms of this world, and of the need to bridge the gap between the two. That’s our job. As ambassadors, we are called to live out the customs and the values of Christ’s Kingdom in this strange and alien land so that those who are natives here can see for themselves what life is like in the Kingdom of God. What should people see when they look at us? They should see how we love one another. They should see how we love our neighbors. They should see how we love even our enemies. They should see how we—in obedience to our King—handle conflict: by loving, forgiving, blessing, and serving those who come against us. They should see how we value the outcasts, love the poor, and how we care for those people that everyone else wants to ignore or marginalize. When people look at us, they should see us acting as peacemakers when everyone else is crying out for war and bloodshed. They should see us living lives that are radically different from everyone who is not of our Father’s Kingdom. Here’s what they should not see: They should never see us pledging allegiance to another nation. No ambassador would ever pledge allegiance to the nation to which he/she is sent. To do so would be considered treason. They should never see us living according to the customs of the land. Violence and a lust for power have no place in our King’s heart, and it has no place in His Kingdom. Certainly there is a time for being “all things to all people” so that some might come to know our King. However, we must always be careful to remember the values and customs of His Kingdom. Why? So that our lives may reflect the radical differences between these two opposing kingdoms. I think this is a good addition to this topic. No, there isn’t – that’s just the false claim of a phony. It’s baggage that you need to get rid of in order to follow Jesus. When Jesus walked the earth, even HE never tried to be “all things to all people”, nor did Jesus ever teach us to try to do that, because we can’t. No one else in the Bible ever said such a thing either, except Paul, boasting about himself. No one agreed with Paul’s claim, that’s a fact from the Bible text. It’s blasphemy really. Only the RISEN Jesus Christ could make such a claim, none of us can. As humans on earth, we should try to become more like Jesus WAS in the pages of the Gospels, not like Jesus IS right now. The Christian life should not be “how to be like Paul.” Jesus is The Model, and The Techer above all others, and we must follow JESUS. Thank you, Matthew, for your comment. I do have to agree with you in the way you present it. I was mostly thinking of the times when we are just interacting with people on a daily basis and are not really seeing it as a demonstration of us as the Gospel, but you gave me thought. Is there ever a time when we are are not representing the “Good News”? This is truly what good support from others on the path is! Jesus did not condense “The Gospel” into a short summary statement, and Jesus was preaching “the Gospel” from the beginning of His ministry. So unlike much of Evangelical Christendom, we should not reduce “the Gospel” into PAUL’s “gospel”, (which is a short summary statement written by Paul,) and think the highest calling in life is to manipulate people to “repeat the magic words.” Jesus knew The Gospel, and the true Apostles knew The Gospel, long before Paul came along with his letters. We need to follow Jesus without the baggage of Paul. We must always remember that ‘Jesus is Lord, and Caesar is not.’ So, while we should be model citizens, our ultimate allegiance cannot be to our nation; our ultimate allegiance is to the kingdom of God. I have not pledged to the flag since 1968, and I took a lot of heat for refusing to participate in the Vietnam War. “Certainly there is a time for being “all things to all people” so that some might come to know our King. However, we must always be careful to remember the values and customs of His Kingdom.” I AGREE! I see two huge extremes. When I was growing up we were very separated from the ‘world’ and society. We sang songs like, ‘This world is not my home; I just a passin’ through’ It was as though we were not part of the world at all. Today, we see that some believers have completely succumbed to the power of politics in order to force ‘Christianity’ on everyone. Vote? Yes! Advocate for policy? Yes! But the kingdom does not progress by worldly power. They no longer want to be a light to the nation; they want to control the nation. This is not the goal of the kingdom of God, which is to help bring God’s will on earth–but not by force. ‘Jesus is Lord, and Caesar is not.’ The two cannot be combined without tremendous damage to the kingdom of God. Tim, I have to confess that those were not my words. I stated them here because I agree with them, but I should have stated where they come from. They are from an ebook I bought on Kindle: “Jesus Untangled” by Keith Giies. The intention of the book is to free the message of Jesus from all of the attempts of political people who use it to support their own message. He also has a lot to say on the legalists who do the same by taking all or part of the Bible as literal only. it’s a good read that I highly recommend. Matthew, Yes, I understood that you were quoting and you gave the source in your first paragraph. How Does One Explain the Crucifixion of Jesus to Young Children? What Does Jesus Say about Sin? Not Much!